The mere thought of filing for bankruptcy is enough to make anyone nervous. But in some cases, it really can be the best option for your financial situation. 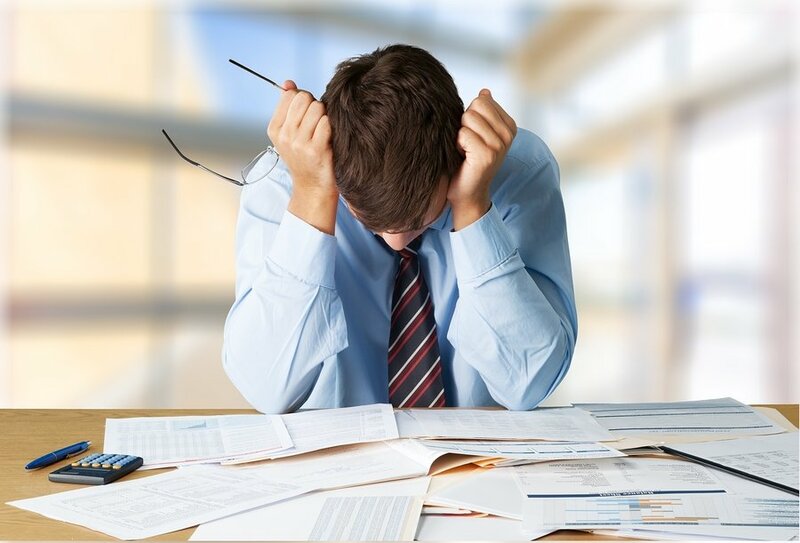 Even though it stays as a negative item on your credit report for up to ten years, bankruptcy often relieves the burden of overwhelming amounts of debt. There are actually three different types of bankruptcy, and each one is designed to help people with specific needs. Read on to find out which type of bankruptcy you might be eligible for and how to determine whether it really is the best option available. In general, bankruptcy is the process of eliminating some or all of your debt, or in some cases, repaying it under different terms from your original agreements with your creditors. It’s a very serious endeavor but can help alleviate your debt if you calculate that it’s unlikely to you’ll be able to repay everything throughout the coming years. The two most common types of bankruptcy for individuals are Chapter 7 and Chapter 13. Chapter 11 is primarily used for businesses but can apply to individuals in some instances. Take a look at the other details that set them apart from each other. Chapter 7 bankruptcy is designed for individuals meeting certain income guidelines who can’t afford to repay their creditors. You must pass a means test in order to qualify. Then, instead of making payments, your personal property may be sold off to help settle your debts, including both secured and unsecured loans. There are certain exemptions you can apply for in order to keep some things from being taken away, depending on which debts are delinquent. If your mortgage is headed towards foreclosure, you might only be able to delay the process through a Chapter 7 delinquency. If you’re only delinquent on unsecured debt, like credit card debt or personal loans, then you can file for an exemption on major items like your home and car. That way they won’t be repossessed and auctioned off. Eligible exemptions vary by state. Usually, there is a value assigned to your assets that are eligible for exemption and you may keep them as long as they are within that maximum value. For example, if your state has a $3,000 auto exemption and your car is only valued at $2,000 then you get to keep it. Most places also allow you to subtract any outstanding loan amount to put towards the exemption. So in the situation above, if your car is valued at $6,000 but you have $3,000 left on your car loan then you’re still within the exemption limit. Chapter 7 is the fastest option to go through, lasting just between three and six months. It’s also usually the cheapest option in terms of legal fees; however, keep in mind that you’ll likely have to pay your attorney’s fees upfront if you choose this option. A chapter 13 bankruptcy is the standard option when you make too much money to qualify for a Chapter 7 bankruptcy. The benefit is that you get to keep your property but instead repay your creditors over a three to five year period. Your repayment plan depends on a number of variables. All administrative fees, priority debts (like back taxes, alimony, and child support), and secured debts must be paid back in full over the repayment period. These must be paid back if you want to keep the property, such as your house or car. The amount you’ll have to repay on your unsecured debts can vary drastically. It depends on the amount of disposable income you have, the value of any nonexempt property, and the length of your repayment plan. How long your plan lasts is actually determined by the amount of money you earn and is based on income standards for your state. For example, if you make more than the median monthly income, you must repay your debts for a full five years. If you make less than that amount, you may be able to reduce your repayment period to as little as three years. You can enter your financial information into a Chapter 13 bankruptcy calculator for an estimate of what your monthly payments might look like in this situation. To qualify for Chapter 13, your debts must be under predetermined maximums. For unsecured debt, your total may not surpass $1,149,525 and your secured debt may not surpass $383,175. However, unlike Chapter 7, you may include overdue mortgage payments to avoid foreclosure. Chapter 11 bankruptcy is usually associated with companies but it can also be an option for individuals, especially if their debt levels exceed the Chapter 13 limits. A lot of the characteristics of Chapter 11 and Chapter 13 are the same, such as saving secured property from being repossessed. Having to pay back priority debts in full and having a higher income bracket than a Chapter 7 are also common characteristics. However, unlike a Chapter 13, you must make repayment for the entire five years with a Chapter 11 — there is no option to pay for just three years, no matter where you live or how much you make. Another reason to pick Chapter 11 is if you are a small business owner or own real estate properties. Rather than losing your business or your income properties, you get to restructure your debt and catch up on payments while still operating your business, whether it’s as a CEO or as a landlord. One downside to be aware of with a Chapter 11 bankruptcy is that it’s usually the most expensive option. However, you can pay your legal fees over time so you don’t have to worry about spiraling back into debt. What are the long term effects of bankruptcy? It should come as no surprise that going through a bankruptcy causes your credit score to plummet. Depending on what else is on your report, your score could drop anywhere between 160 and 220 points. Those effects linger: a Chapter 13 bankruptcy stays on your credit report for seven years, while a Chapter 7 remains there for as many as ten years. Their effects on your credit score do, however, begin to diminish as time goes by. You’ll probably have trouble getting access to credit immediately following your bankruptcy. Eventually, you’ll start getting approved for loans and credit cards, but your interest rates are likely to be extremely high. A new mortgage will probably be out of reach for at least five to seven years from the time you file for bankruptcy. Additionally, any employer performing a credit check can see all of these items on your credit report. Government agencies can’t legally discriminate against you because of your bankruptcy, but there is no specific rule for privately-owned companies. It could be particularly damaging if the job you’re applying for deals with money or any type of financials. No matter where you work, though, you can’t be fired from a current employer because of a bankruptcy. There’s no correct answer to this question and it’s ultimately something you’ll need to decide on your own. However, there are a few things you can do to make sure you’re making the best decision possible. Start off by finding a licensed credit counselor to help analyze your individual situation. They’ll help you review the guidelines for each type of bankruptcy and determine if you’re even eligible. At first glance, filing for bankruptcy may seem like a great way to settle your debts and move on with your life. Unfortunately, the process isn’t as simple as filling out a form and the effects of bankruptcy will stick with you for years. As you begin the evaluation process of whether or not bankruptcy is right for you, there are a number of considerations to take into account. This overview will get you thinking about your situation, as well as point you in the right direction for more in-depth resources when you need them. You should also look at your expected future and compare your potential earnings to your amounts of debt. If you don’t realistically see how you’ll ever pay off that debt, then bankruptcy may be a wise option. Also, understand the types of debt you owe. Tax payments, student loans, and liens on your mortgage or car will not be discharged even when you file for bankruptcy. Once you figure out which specific options are available to you, it’s time to contact a bankruptcy attorney. You’re certainly able to represent yourself, but the process is complicated and it’s usually best to have a professional work on the case on your behalf. Just be sure to interview a few different lawyers to get multiple opinions and prices to compare. Even when your bankruptcy is underway, it’s smart to spend some time evaluating how you got there. Was it due to a one-time financial hardship, like a long bout of unemployment? If that’s the case, then you know that you have a brighter future ahead of you with the promise of work and steady income to pay your bills. However, if you’re on the path to bankruptcy because of reckless spending, you really need to look inward and address your overspending habits. Otherwise, it becomes too easy to put yourself in the same situation a few years down the road. Use your bankruptcy as a second chance to start fresh with a clean financial slate. If you’re considering bankruptcy, then you’re most likely feeling overburdened with debt and other financial obligations. You probably have a tough time paying your bills each month and may even worry how you’ll ever pay off some of your outstanding balances. If one or more of these situations apply to you, then you should probably continue your research into bankruptcy. If not, try finding other ways to improve your financial situation. For example, you could rework your budget if there are easy places to cut back on. You can also try negotiating with your lenders, particularly if you’re experiencing just a short-term setback. Most lenders are willing to work with you, and would much rather set up a new payment plan than have the debt discharged or settled through bankruptcy. If you want to file for bankruptcy it takes careful planning. Due to the long-term legal and financial consequences of bankruptcy, there are many rules that must be followed before you’re eligible. For example, it’s necessary to show the courts you have obtained credit counseling and considered alternatives like debt settlement or debt consolidation. Bankruptcy is controlled exclusively by the federal judicial system, which strongly recommends hiring an attorney or seeking free legal services before attempting to file. Before you file for bankruptcy, there are a number of important questions you should ask yourself. There are also several key steps that you need to take. First, it’s necessary to ask yourself if you really need to file for bankruptcy. If you don’t, you probably won’t be approved anyway. You also need to calculate income, expenses and assets, find a trustworthy attorney, and select a credit counseling program. It’s helpful to be methodical and to use a checklist. Failure to take the right steps and find the right credit counseling could result in more wasted money and a bankruptcy dismissal where they throw out the case. Even if bankruptcy is the best choice for you, there may be some situations where it’s smart to delay the process so you can maximize your benefits. First, if you had a high income within the last six months that no longer applies to your situation, then you might want to wait. That’s because the court weighs your last six months of income to determine your eligibility for Chapter 7. If you had a nice monthly salary a few months ago but have been laid off since then, that means test isn’t going to reflect your current situation accurately. Another reason to delay bankruptcy is if you are anticipating an upcoming major debt. New debt isn’t allowed to be discharged once you file for bankruptcy. So, for example, if you’re about to have a major medical surgery, you might consider waiting until it’s over to include the medical bills as part of your bankruptcy plan. Talk to a professional to see the eligibility requirements. Luxury items charged right before bankruptcy, for example, likely won’t be included as part of your debt discharge. Before getting started, it’s important to note the changes that went into effect in 2005 under the Bankruptcy Abuse Prevention and Consumer Protection Act (BAPCPA). While the changes don’t affect some people applying for bankruptcy, they may affect others. The law requires mandatory credit counseling to make sure you fully understand the consequences of declaring bankruptcy. It also created stricter eligibility requirements for Chapter 7 bankruptcies. For Chapter 13 bankruptcies, the law requires tax returns and proof of income. An informed decision begins with understanding the law, the bankruptcy process, and what has changed. It’s important to better understand these changes before you make any final decisions. 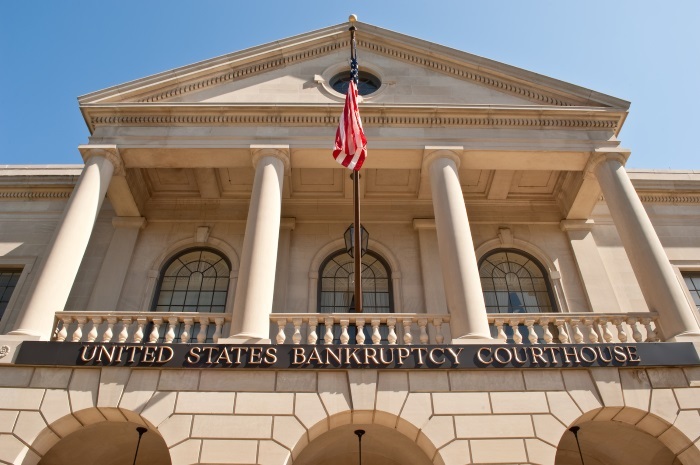 Understanding how bankruptcy works means understanding the process and laws related to Chapters 7 and 13 of the Bankruptcy Code. Depending on the details of your situation, you might be eligible to file under Chapter 7 or Chapter 13. Which route you choose has a lot to do with your income and what assets you want to keep. Your debts can either be resolved quickly or over a several-year period. It’s helpful to read up on in-depth frequently asked questions related to each route. To have all your unsecured debts completely eliminated under Chapter 7, you must qualify under the Chapter 7 means test. Using your personal information, or a basic estimate, an online calculator can help determine this for you. When filing, you must also fill out an appropriate form in which you enter your income, expense information, and data from the Census Bureau and IRS. If you don’t meet the income level requirements for a Chapter 7, you can still file for Chapter 13, which settles many of your debts after you successfully complete a three to five-year repayment program. Your debts qualify for bankruptcy relief when you can prove you are unable to pay them, but a great deal depends on your situation and which chapter you are filing under. Debts can be either unsecured or secured. Secured debts include mortgages, cars, and debts related to a property you’re still paying for. Unsecured debts include credit card debt, bills, collections, judgments, and unsecured loans. More essential than knowing which debts qualify for bankruptcy is knowing whether or not your own situation makes you eligible for this major step. To determine this, a full financial assessment is necessary. You can start by reading more about debts that qualify. If you have defaulted on a student loan, there are several options open you. Bankruptcy is one of them, but if your goal is to have a student loan discharged under Chapter 7, this can very difficult. Nevertheless, taking certain steps as soon as possible can help prevent wage garnishment, and knowing your options can help you make the best choice before matters become more difficult. Under Chapter 13, your defaulted loan can be consolidated with your other bills, giving you a better payment plan or a temporary reprieve from making payments. If you have a federal student loan, check out your repayment options, especially if you are facing financial hardship. Otherwise, read more to figure out how to pull yourself out of student loan default. Depending on how you file for bankruptcy, there are certain assets you can keep. Different states have different exemptions, and in certain states, you can choose between state and federal bankruptcy exemptions. If you need to have debts discharged, are out of work, and cannot afford a repayment plan, some assets might be lost. In most cases, however, people who file for bankruptcy can keep their homes and cars and much of what they own while they repay their debts under a modified plan. It all depends on your unique circumstances and how you file. A bankruptcy can affect your credit for 7 to 10 years and should be considered a last resort option when all other options have failed. Many times people file bankruptcy when it is completely unnecessary. A credit professional can help you fix your credit and deal with your creditors so you can avoid filing for bankruptcy. Call 1 (800) 220-0084 for a FREE Credit Consultation with a paralegal.